Carisoprodol, also known by the brand name Soma, is a prescription skeletal muscle relaxant. Some side effects, like difficulty breathing, fever, weakness, or burning in the eyes, can indicate a severe reaction to carisoprodol and require immediate medical attention. The effects of carisoprodol generally set in within 30 minutes of taking the drug and generally last 4-6 hours. These effects are typically short-lasting. However, continued abuse of the drug can cause permanent damage to the body. The heart, lungs, liver, kidneys, and brain can all be adversely affected by abuse of prescription medications. Severe overdose on carisoprodol can lead to death or permanent brain damage. Risk of overdose is much higher if the drug is overused or used other than how it is prescribed. Repeated abuse of this drug can lead to an unintentional overdose. Overdose risk is also increased among individuals who have been through detox. Repeated use of carisoprodol can lead to increased tolerance, meaning that a higher dose of the drug is needed in order to achieve effects once felt after a smaller dose. Tolerance decreases quickly after use of the drug is lessened or stopped, so a dose that was previously well tolerated may become too large and cause an overdose. According to Current Drug Abuse Reviews, carisoprodol causes addiction in similar ways to sedatives like benzodiazepines. This drug breaks down in the body to produce a metabolite called meprobamate, which can be addictive. People generally abuse carisoprodol for its relaxation and sedative effects. Many people who become addicted to this drug were originally prescribed the medication by a doctor to treat an injury or other muscle pain. Some people who take the drug become addicted. Chances of becoming addicted to prescription medications increases if they are misused; if individuals attempt to self-treat muscle pain by taking larger doses than prescribed, or using the drug in ways other than how it is intended, they are more likely to become addicted to the substance. Other people may first acquire carisoprodol through illicit means. Some people take this medication with other illicit substances in order to augment or enhance the effects. Because carisoprodol is relatively easy to acquire, abuse of this substance has increased in recent years, and physical dependence on the drug has become more common. OASAS reports that carisoprodol abuse has climbed in recent years, and in 2007, the rates of abuse were similar to rates of abuse for controlled substances like Klonopin and Librium. Because withdrawal from carisoprodol can cause severe symptoms, this drug should always be slowly tapered rather than stopped suddenly. Addiction to prescription medications like carisoprodol can affect every area of an individual’s life. 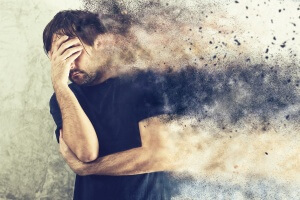 The National Institute on Drug Abuse (NIDA) states that addiction is an enduring, relapsing brain disease that leads to drug-seeking and using behaviors despite negative consequences. Those suffering from addiction will find that much of their time is spent thinking about, acquiring, and using the addictive substance. They may spend less time with friends and family and stop participating in things they once enjoyed. Addiction can quickly lead to the deterioration of overall quality of life. Drug use that interferes with daily functioning is a sign that you may be suffering from an addiction. Use of carisoprodol should be carefully monitored to prevent physical dependence and abuse. If you’re concerned about your carisoprodol use, talk to the prescribing physician. Your physician may want to screen you for physical dependence and other issues. If an addiction is present, a referral to a mental health professional or treatment center may be given. If your physician believes you have become addicted to carisoprodol and you wish to stop using the drug, your doctor will instruct you to begin tapering your dosage. Tapering off carisoprodol, rather than stopping use suddenly, helps to avoid severe withdrawal symptoms. Completely tapering off carisoprodol usually takes at least a week. Addiction involves more than physical dependence on a drug. Some people may experience withdrawal from carisoprodol but are not addicted to it, and they will not compulsively seek out and use the substance. Others, however, develop an addiction, which requires treatment beyond detox. Your physician can refer you to a therapist or addiction specialist. There are currently no FDA-approved medications to treat addiction to muscle relaxants like carisoprodol. Talk therapy is the main method of treatment for this type of addiction. Individual and group therapy, as well as self-help and support groups, can all be useful in recovering from carisoprodol addiction. Many different methods of behavioral therapy have been shown to be effective in treating addiction. Therapy, regardless of the particular methods used, is intended to provide clients with support and ways of coping that will help them avoid future drug use. Carisoprodol can be an effective medication in the treatment of various injuries and diseases; however, it does have abuse potential. Some people who begin using this medication for legitimate purposes can become physically dependent on the drug and may develop an addiction. Addiction to prescription medications is a common problem, but treatment works. Many options are available for addiction treatment. The most effective treatment plans are tailored to meet individual needs; what works for one person may not work for another. Therapy offered through residential or outpatient programs, combined with group therapy and support groups, can restore individuals to balanced and happy lives.